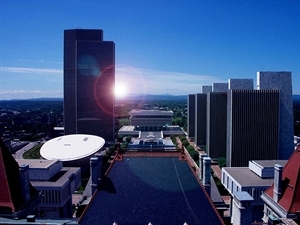 Over the past four centuries, Albany has grown from a small Dutch settlement into New York State's Capital City in the heart of burgeoning Tech Valley. Residents and visitors alike enjoy four unique seasons of entertaining events, historic masterpieces, unique cultural attractions, regional shopping centers, and a taste for culinary delights from around the world. New York's Capital Region has enticed visitors for over 400 years with historic sites, fabulous attractions, family-friendly amenities, and entertaining events. The historic Capital City sits on the banks of the mighty Hudson River, a waterway deeply embedded in our nation's history for its years of military, strategic, and economic importance. Jan 15.0 F° 23.0 F° 31.0 F° 2.6 "
Feb 17.0 F° 26.0 F° 35.0 F° 2.3 "
Mar 26.0 F° 35.0 F° 44.0 F° 3.2 "
Apr 37.0 F° 47.5 F° 58.0 F° 3.2 "
May 47.0 F° 58.0 F° 69.0 F° 3.6 "
Jun 57.0 F° 67.5 F° 78.0 F° 3.8 "
Jul 62.0 F° 72.0 F° 82.0 F° 4.1 "
Aug 60.0 F° 70.0 F° 80.0 F° 3.5 "
Sep 52.0 F° 62.0 F° 72.0 F° 3.3 "
Oct 40.0 F° 50.0 F° 60.0 F° 3.7 "
Nov 32.0 F° 40.0 F° 48.0 F° 3.3 "
Dec 21.0 F° 28.5 F° 36.0 F° 2.9 "
Albany experiences all four seasons with average temperatures ranging from 20 - 70 degrees. Spring is a favorite for Albanians as Tulip Festival kicks off the warmer weather, while autumn brings leaf peepers from far and wide to view the spectacular colors and enjoy cider and donuts from many of the local farms and orchards. There are many volunteer opportunities available in the Albany area, be it at local hospitals, schools, community organizations, churches, or city events.